A rear end accident early Monday morning sent two people to hospital. 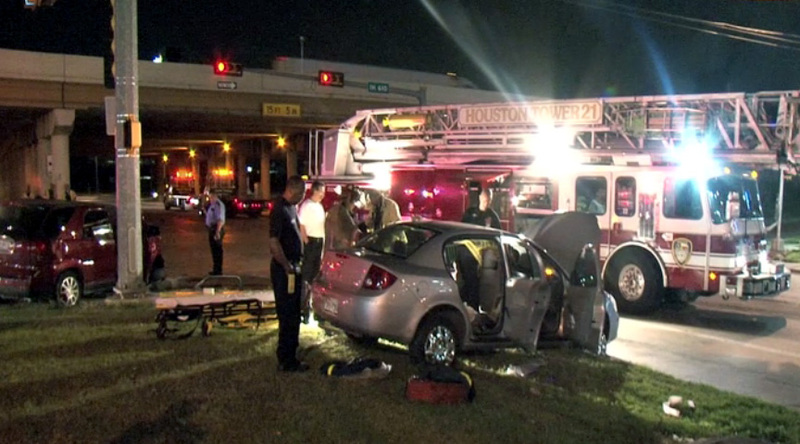 The crash happened around 2:00 a.m. on Houston’s South 610 Loop near the Broadway Street overpass. 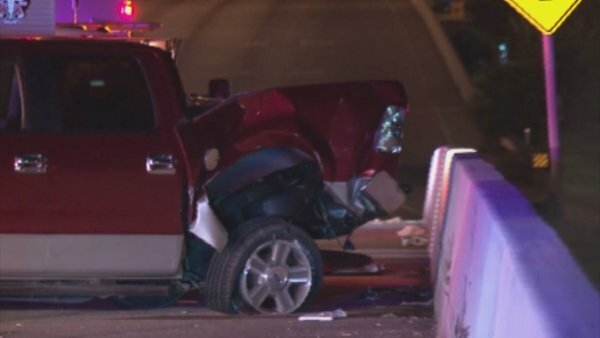 One pickup, traveling at a high speed, crashed into the rear of a second pickup. The driver in the truck that was rear ended was taken to hospital, so was a passenger in the speeding pickup. Photographs from Channel 11’s web site show significant damage to the vehicles. 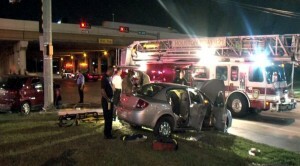 Need to speak with a personal injury attorney for your Houston car accident? Smith & Hassler has represented injured Texans since 1989. Read reviews from our former clients on Google. 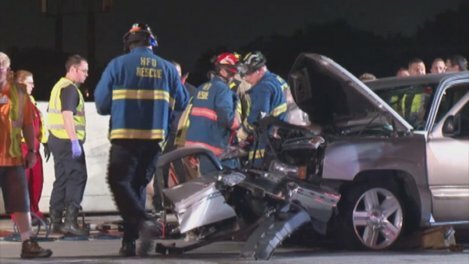 FOX News is reporting that firefighters had to rescue a driver and a passenger after a major two car accident at the 610 South Loop feeder road and Kirby Drive. The accident happened around 10:30pm on Wednesday May 23rd. The driver and passenger were traveling in a silver car eastbound on the 610 feeder when the silver car passed through a red light, causing a collision with a red SUV heading southbound on Kirby. The silver car was impacted on the driver’s side. The occupants of the silver car were taken to Ben Taub in serious but stable condition. According to the FOX News article, the driver of the red SUV was not hurt. Each year Smith & Hassler helps hundreds of clients resolve their automobile accident injury claims in Houston and throughout Texas. Google “Smith & Hassler” and read online reviews from former Smith & Hassler clients.